Wplus9 SO VERY Designer Dies wpln-0217 at Simon Says STAMP! wpln-0217 This item is on reserve until If you would like to reserve this item now, you may purchase it now with the rest of your order. We will hold your order now and ship your entire order as soon as this item is back into stock. If you would like your order to ship now, please place this item on a separate order. Success, Wplus9 SO VERY Designer Dies wpln-0217 has been shared! The So Very companion die set contains 5 individual dies and coordinates with the So Very stamp set. This companion die cuts around the corresponding stamped image with a 0.625 inch border. 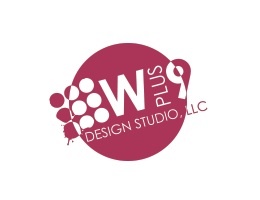 Founded by Dawn Woleslagle in February 2010, Wplus9 committed to bringing you the highest quality in paper crafting supplies! There never seems to be enough time in the day, and Wplus9 knows how important and treasured those few moments we can grab to enjoy 'our' time can be. You'll find that Wplus9 images are bold and attention grabbing. They have no problem taking center stage, making completing that project a snap! Whether you're just starting out in card making or a 'seasoned scrapper,' you'll find that Wplus9 stamps and products are a great addition to your collection. Wplus9 Design Studio understands that you are the heart and soul of the paper crafting community.